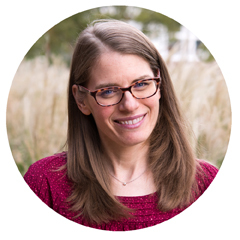 I am so excited to share with you the second part of my secret project (and a FREE pattern along with an awesome contest/giveaway). 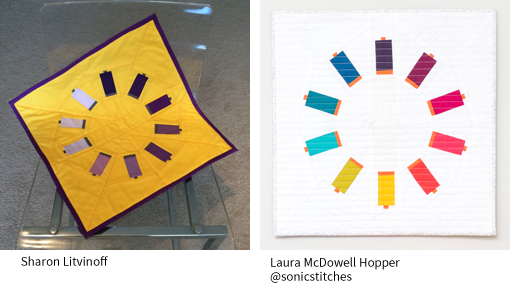 In early 2016, I designed a mini quilt, entitled So Many Colors, as a donation to the Quilt Alliance annual fundraiser. The theme was “Playing Favorites” and the mini quilt incorporated my favorite brand of thread, Aurifil, using one of my favorite piecing techniques—foundation paper piecing. 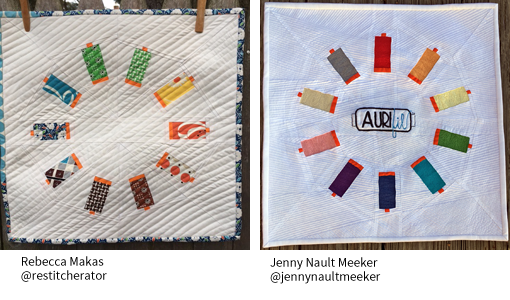 This mini quilt caught the attention of Aurifil staff and we started a conversation about how we could work together. During our conversations, I learned that Aurifil is celebrating its 10th anniversary in the United States in 2017. 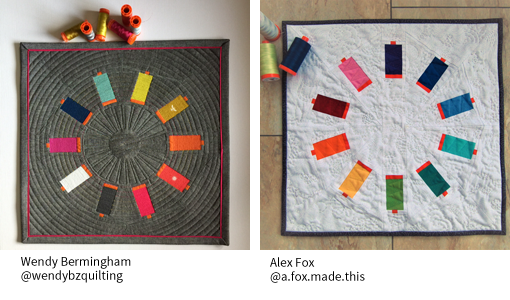 It was an honor to work with Aurifil on two projects over the course of the last nine months—the 270 Colors quilt (read about the quilt on my blog and about the process on my website) AND and the Sew Many Colors mini quilt and pattern. You can download the Sew Many Colors pattern for free here. 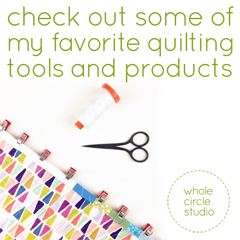 Like the original mini quilt I donated to the Quilt Alliance, this pattern contains the iconic Aurifil spool at actual size. 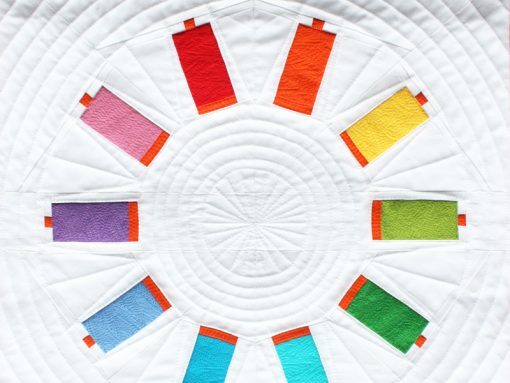 This updated version contains 10 spools to celebrate the 10th anniversary of Aurifil USA in 2017. 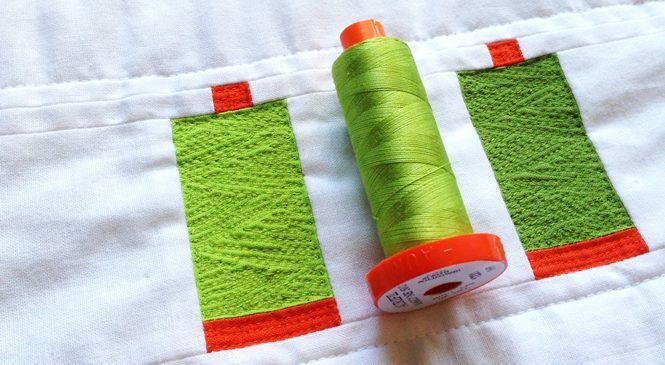 The pattern makes one mini quilt/block that measures 16″ x 16″. The fun doesn’t stop there! 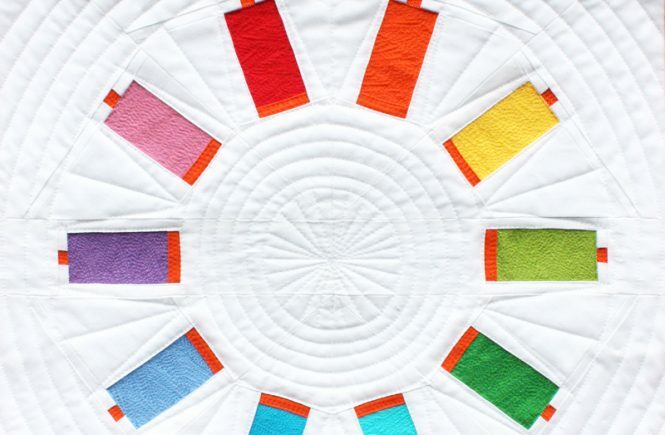 Create a Sew Many Colors with your “favorite 10” and you can win some fabulous prizes! Enter your finished mini via the linky party on Auribuzz by 11:59pm on March 31, 2017. Voting runs from April 1 – April 15, 2017. Winners announced on April 20, 2017. 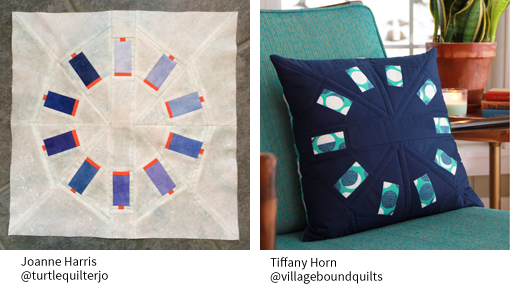 Finished minis must use Aurifil threads and Kona® Cotton by Robert Kaufman to be eligible to win. Tell us about your “favorite 10”! The top 3 Minis will be showcased on the Auribuzz blog. 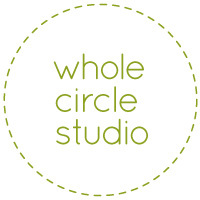 Winners will receive a fabulous prize package including goodies from Aurifil, Robert Kaufman, The Warm Company and Whole Circle Studio, and will be given the opportunity to showcase their minis in the Aurifil booth at Spring Market. 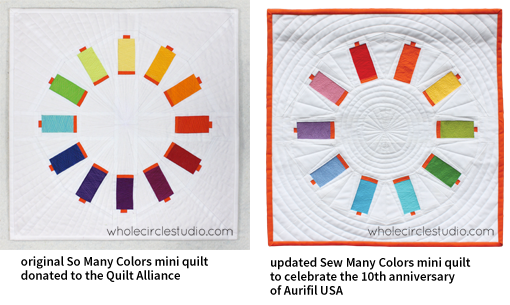 Happy 10th anniversary Aurifil USA! Thank, this will be fun! So fun, can I ask if I can turn my mini into something else like a pillow cover or bag, with out altering the pattern, would that still be accepted in the contest? Hi Mara, I’m checking in with Aurifil. Please stay tuned. I hope to have an answer soon! Yes—it’s fine to submit a “product” like a small pillow or small bag as long as you stay true to the pattern.